Looking for a new way to promote your business? Look no further than Fontis Water private label bottles. Our personalized water bottles are the perfect choice for a corporate promotion to a special event, such as a wedding or milestone celebration. 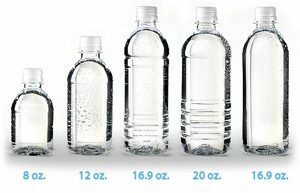 The bottles, which of course contain our delicious tasting water, are available in five convenient sizes from 8 oz. to 16.9 oz. The choice is yours, and the statement you make is priceless. Many companies such as banks, funeral homes, clubs and healthcare providers, provide these custom label bottles to their customers, free of charge. To them, they are sending every customer out with a premium business card. For other companies and organizations, the private label water bottles are often sold, perhaps to even raise money for a non-profit event. Brides lov e to order private label water bottles to commemorate their special day, too. They are also a favorite for engagement parties and showers. Celebrating the arrival of a new little one? Why not send friends and family members home with a bottle to remember baby’s day of birth? The ideas are endless. When you order from Fontis Water you can be assured you are getting the best in private label. Fontis Water uses the latest in digital printing technology to deliver quality, custom labels at a very affordable price. All of our labels are printed on premium Mylar. They are available in either white or clear. The labels feature permanent adhesive, lamination for stunning colors and full waterproof durability. Torn between color or black and white? Not a problem as there is no difference in price, even if you want a photographic image. Call us today at 678-494-1981 and let’s get started on creating your private label water bottles. Staying hydrated is just as important in the winter as it is in the warmer weather months. We at Fontis Water know the importance of this fact, and even know a few tips to help keep you hydrated. First, drink a glass of water as soon as you wake up in the morning. Not only is this a tip for staying hydrated, but it is also a great way to start your metabolism for the day. It can give you a sense of being full, and it’s just what your body needs in the morning. Second, keep a bottle of water with you at all times. By keeping a water bottle on your desk, in your purse or even in your car, you are going to remember to drink more water. Still think you might forget to drink enough water? Why not set an alarm on your phone to remind you it’s time to drink more water! Third, try eating fruits and vegetables high in water content. Some great examples include watermelon, cucumbers and citrus fruits. And the most important tip we can provide you is to drink more Fontis Water. Fontis Water can be delivered to your home or office, making it extremely easy to drink enough water each and every day. Coffee, it’s what gets many of us moving in the morning. Who are we kidding? Sometimes it’s what gets us moving at 2 PM after a heavy lunch, but no one ever wants to go buy the coffee. Argue no more over who will make the dreaded coffee run, Fontis Water has got you covered. 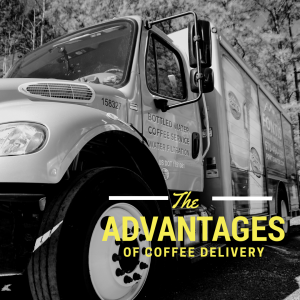 That’s right the company that brings the best tasting water to your home and office can also deliver the best coffee as well. At Fontis we offer traditional office coffee service, as well as single serve service. 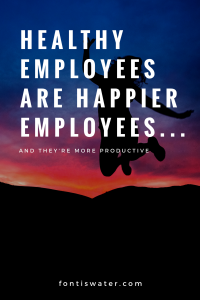 Whether you have five employees or 500, we have the service to fit your needs. Airpots for the lobby or a thermal carafe for the conference room, with our full line of brewers you will be able to find your perfect fit. We believe with a single cup brewer from TASSIMO there isn’t a more delicious way to start the workday. And did we mention all the different types of coffee we offer? Let us tempt you with a few of these brands … Starbucks, Batdorf & Bronson, Folgers, Seattle’s Best, Dunkin’ Donuts, and Maxwell House. However, many of our customers choose Fontis’ own fresh roasted coffee. Give us a call today at 678-494-1981, and we will have one of our coffee experts come to your office and show you how to get that great “coffee house” cup of coffee in your own office! 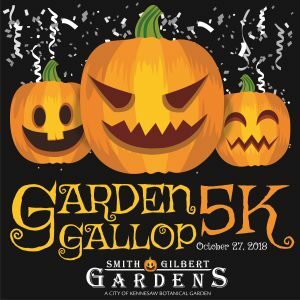 The 7th Annual Garden Gallop takes place this weekend! The race will benefit Smith-Gilbert Gardens. More than 1,000 runners should be on-hand. Sponsored by Smith-Gilbert Gardens Foundation, a 501(c)3 non-profit organization. Fontis Water is proud to be the official water sponsor of this race and the Kennesaw Grand Prix Race Series. Smith-Gilbert Gardens, North Georgia’s hidden gem. As an established collectors garden, they have over 3,000 species of plants, many unique to American gardens. Having grown through the years, the Gardens stand out as an exceptional blend of art, history and horticulture, all creating a tranquil respite of reflection and enjoyment.  We hope that you will enjoy your visit to their website, but most importantly, remember they invite you to experience firsthand the beauty and fascination of Smith-Gilbert Gardens. Tot Trot – 8:55 a.m.
All Kennesaw Grand Prix Races are electronically timed by Orion Racing and awards are presented to the overall Male and Female winners, Male and Female Masters Winners, and the top 3 finishers in 12 age groups. Skin care … a hot topic these days. This cream takes away wrinkles. This gel will reduce dark circles. 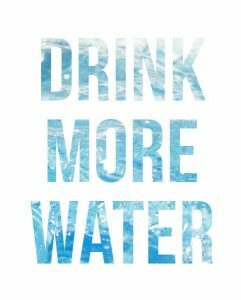 Yes, they all might do what they say, but did you know drinking water can also help you achieve healthier skin? According to uwhealth.org “drinking an adequate amount of water daily is important for overall good health because water aids in digestion, circulation, absorption and even excretion.” So what does this have to do with drinking water for a healthy epidermis? It is true that skin is an organ made up of cells, and guess what? These cells are made up of water! Apply a hydrating moisturizer within 2 minutes of leaving the bath or shower. The epidermis is still porous and is vulnerable to products that are applied following the bath or shower, allowing better absorption. Apply a product containing hyaluronic acid prior to your moisturizer, such as Skinceuticals Hydrating B5 Gel. Hyaluronic acid holds 1,000 times its own weight in water, thus attracting water to the skin and holding it there. Drink more water. Drinking at least 8 glasses a day will help rid the body of toxins. Everyone will not agree that water consumption will improve skin… but it certainly can’t hurt. Many people often report that by increasing their water intake, their skin has a more radiant glow. Those who suffer from acne have reported the same results. 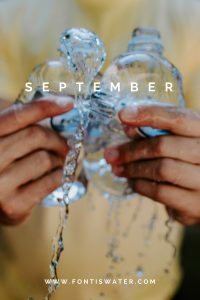 Nothing will happen overnight, but even a good couple of weeks of increasing water intake should be enough for you to see how hydration affects your own skin. Of course we can help with that last one by delivering the best water around to your home or office. Fontis Water delivers gallon bottles and 1/2 liter bottles making it easy for you to drink enough water each day! Call us today at 678-494-1981 for more information. September is almost here. With it comes fall, cooler temperatures and festivals. Yes, lots of festivals, and Fontis Water is proud to be a part of some of the best in Atlanta. We kick off the month with the ONE MusicFest the weekend of September 8. ONE MusicFest is a two-day festival packed with more than 30 artists. The next weekend you can catch us at Taste of Smyrna. This is one of our favorites in Cobb County. Be sure to stop by for amazing food, and of course refreshing Fontis Water. Saturday, September 22, will be jam-packed with fun at the East Atlanta Strut and the Old Fourth Ward Fall Festival! The East Atlanta Strut will have great music, games and a kids area. Want to meet a llama? You can there! The Old Fourth Ward Fall Fest features live local music, a DIY lantern making area, food trucks, a kids’ play area, local artist and business market, and more. The festival’s prime location along the Atlanta BeltLine Eastside Trail makes it the ideal place to view the Lantern Parade. This does not even begin to mention all the road races we are sponsoring in September and the Cobb Chamber of Commerce Golf tournament! Yes, we love September because we get to meet all of you! So make plans to attend one, or all, of these great events! Bring your friends and we’ll bring the water. There are all types of statistics out there that tell us how much water to drink. 8 glasses? 60 ounces? Half your body weight? Does anyone know the real answer? 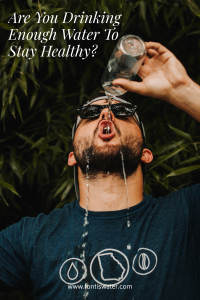 The good news is that some of your required fluid intake comes from the foods we eat, but it is important that we drink enough H2O each day, especially in the summer. According to CNN.com, water is known as the “elixir of life, with good reason, and every system in your body needs it to survive. How much should you drink to stay hydrated during exercise? 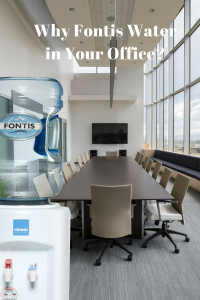 To help you stay hydrated, Fontis Water can deliver to your home or office. For more information call us at 678-494-1981. In case you have not heard, Georgia is now a hands free state. This means hands free when it comes to your mobile device, but you can still hold that bottle of Fontis Water! What does Hands Free mean to you? Drivers can no longer cradle or hold a phone or other electronic wireless device behind the wheel, unless making an emergency call. Georgians cannot use more than one button to answer or use a mobile phone. The also cannot reach for one, if doing so means undoing a seat belt or standing up. 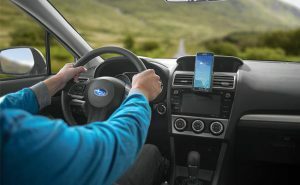 Although there have been rumors out there, drivers can stream music through their phone while driving. However, remember you cannot touch your phone to change songs. Also, the new law prohibits drivers from watching videos, so music streaming apps that have video are not allowed. Remember also that headsets and earpieces can only be worn for communication purposes – not for listening to music. So remember to keep those hands off that phone and we really were not kidding about the Fontis Water. It’s completely okay to drink our water and drive. Don’t have our water delivered to your home or office? We can take care of that, just give us a call at 678-494-1981.